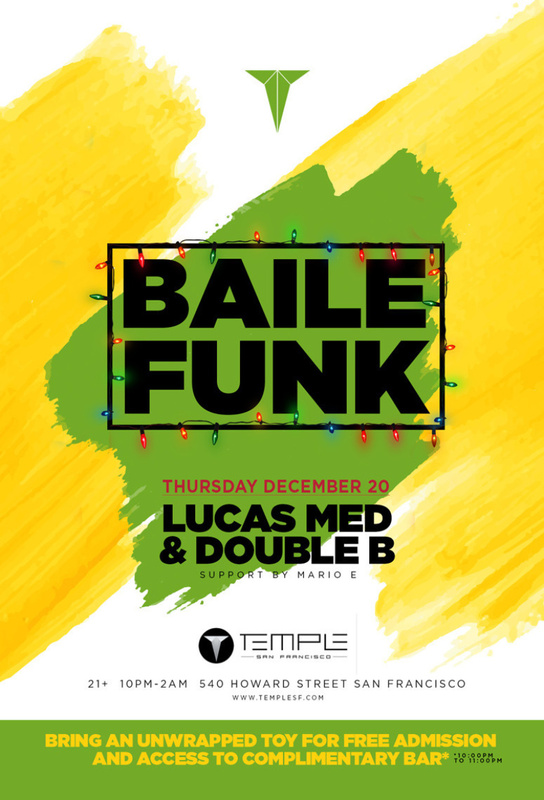 On Thursday, December 20th Temple is bringing Brazil to SF with Baile Funk! Hosted Caipirinha bar will set off the festivities from 10-11pm, but you must bring an unwrapped toy to access the event during these hours. Experience futuristic new main room, unrivaled Void sound system, state of the art lights and visuals, and top-tier DJ talent; Miles Medina and Lucas Med. All of this for the wonderful price of free! RSVP for complimentary admission before midnight! Music by Lucas Med and Double B (Baile Funk).